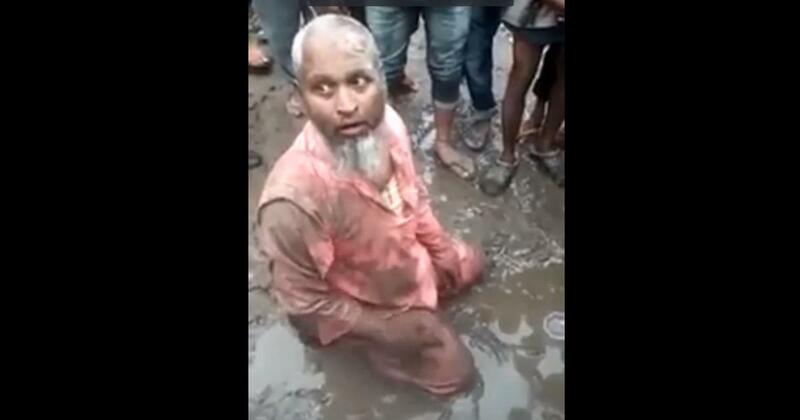 A Muslim man was brutally attacked and beaten up by the mob over selling beef in Assam’s Biswanath district. He was forced to eat pork as punishment by locals. Reports suggest that police have detained at least five people after the video of the incident went viral on social media. The man was seen on his knees in deep slush, begging to let him go. Shaukat Ali, 68, was thrashed brutally and was accused of being a Bangladeshi. He is currently being treated at a government hospital. "Are you Bangladeshi? Is your name in the NRC (National Register of Citizens)?" someone in the mob can be heard asking him. The mob asked Shaukat Ali why he is selling beef and if he has the license to do so. District police said that Ali is a businessman and has been running an eatery in the area for the last 35 years. Cow slaughter is not banned in Assam but permission is required from a veterinary officer as only the cows aged over 14 years can be slaughtered.